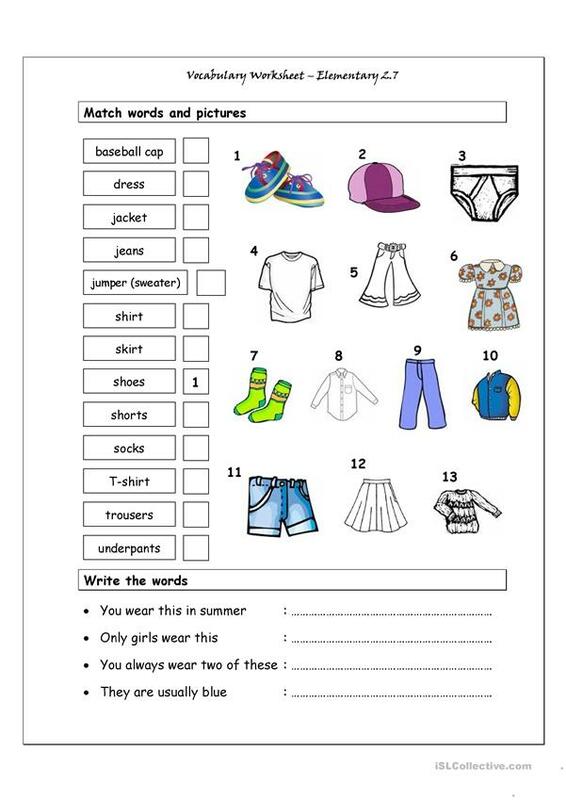 Vocabulary worksheet containing CLOTHES. It has two sections: Match words and pictures (matching exercise) and Write the Words (reading & spelling exercise). This worksheet was originally developed to supplement the I-Spy 2 course book (young learners, level 2), but can be used stand-alone without problems. The present printable, downloadable handout is meant for elementary school students at Beginner (pre-A1) and Elementary (A1) level. It is useful for developing your learners' Spelling and Reading skills. It features the theme of Clothes, fashion. The key is provided, too.